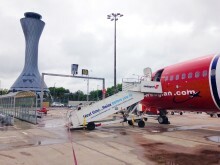 Low-cost airline Norwegian is ready to take-off its biggest year ever, with the introduction of brand new aircraft, exclusive new routes - including its first long-haul flights outside the USA - and more affordable flights on the UK’s only direct low-cost transatlantic services. 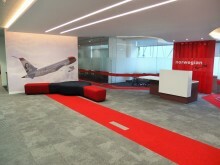 Low-cost airline Norwegian will give Premium passengers travelling from Oakland International Airport (OAK) free access to the airport’s brand new lounge from this month. Norwegian carried almost 2.8 million passengers in September, an increase of 14 per cent compared to the same month previous year. Low-cost airline Norwegian has put on sale its summer 2017 low-cost flights to the U.S. from as little as £149 one way. 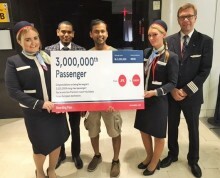 Norwegian has now flown more than three million low-cost long-haul passengers between Europe and the U.S. since the airline’s low-cost transatlantic services began in 2013. 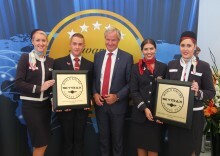 Europe’s best low-cost airline Norwegian is continuing its rapid expansion at Manchester Airport by launching two new low-cost routes to the Canary Islands this winter. Norwegian carried more than 2.9 million passengers this month, an increase of nine percent compared to the same month previous year. The load factor was 94.6 percent, up 0.8 percentage points. 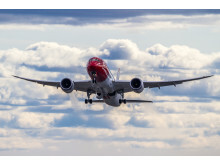 Over 1.3 million passengers are set to travel with Norwegian in the UK this Summer, with New York, Los Angeles and Madrid among the most popular routes. 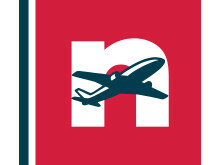 Norwegian signs first ever charter agreements in the U.S.
​Norwegian signs charter contracts with Apple Vacations and Funjet Vacations to operate routes from the United States to the Caribbean and Mexico. Norwegian’s passengers have donated £500,000 / € 680,000 to UNICEF’s work for vulnerable children when booking flights online.